4,308 companies entered insolvency in Q3 2018. An increase of 19.3% on the same period in 2017. At Coface, we know only too well that for every business that fails, an average of ten other businesses suffer from bad debt as a result. Failure leads to late payments, which lead to more failures. This domino effect means that over the same period, more than 40,000 UK businesses are likely to have been affected by bad debt. The truth is that no company is immune from the risk of bad debt, and one insolvency can cascade through a business network. 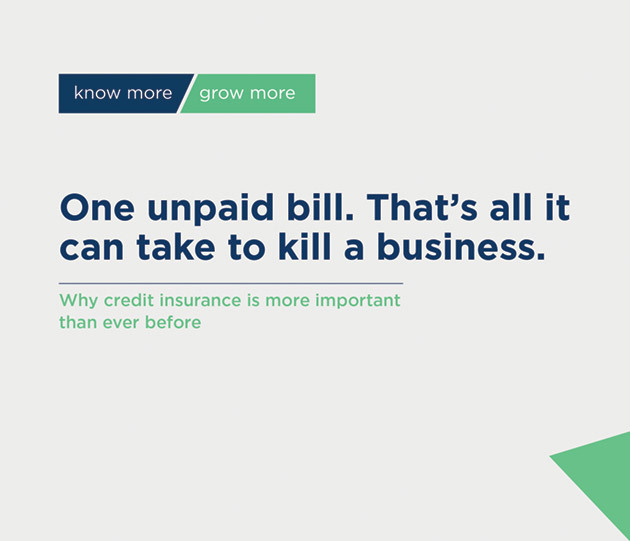 Here, Russell Davis, UK Commercial Director for Coface answers some of the most common questions businesses ask about credit insurance when they are looking to protect themselves against bad debt. These questions range from cost to how credit insurance compares to other credit management solutions. Find out more about Credit Insurance and how it can help protect your business cash flow. Download the whitepaper for free now.